As the local boutique fitness bubble becomes even more crowded, Class Studios still manages to stand out. And while swanktitude is all good and photographs well, it can’t make up for a mediocre workout. Fortunately, it doesn’t have to at Class Studios. On the spin side of things, we shouldn’t have expected anything less from Kwon Zutter. 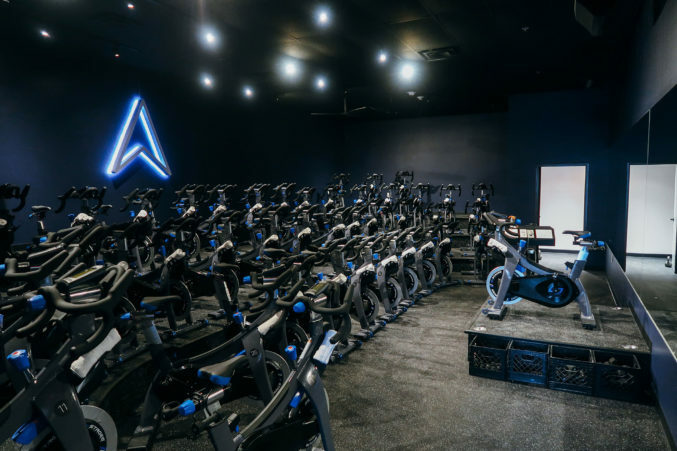 The former Ride House studio director lined the dark, stadium-style space (which doubles as a light show when the music starts, as spin studios are wont to do) with 50 top-of-the-line bikes and a solid sound system. The closest match we have locally is CycleBar. My opening day Cycle45 class was taught by Mercedes Owens, who — along with fellow Class Studios instructor Paige Martindell — will also be among the founding instructors when the similarly swanky looking Rise Nation debuts this March. Equal parts skilled, likable, and motivational, Owens is a perfect spin instructor, which she proved halfway through class when her microphone died for about 15 minutes and she still killed it. Because I am a diligent reporter, I took Train45 on Tuesday morning so I could review Class Studios in its entirety. It’s a kind of class I actively avoid because burpees are usually involved. (They were, but I survived.) Led by Pierre (a towering man made of muscle and charm), the circuit training side of Class Studios is split into three sections: rowing for cardio, floor with hand weights and plyometrics, and TRX bands. Great equipment, loud music, plus the precision and encouraging affability of Pierre kept things moving swiftly and without confusion — which might be the key to any circuit class. Train45 was never going to my favorite thing, but I might actually consider going back to the TRX bands at Class Studios, which is saying something. 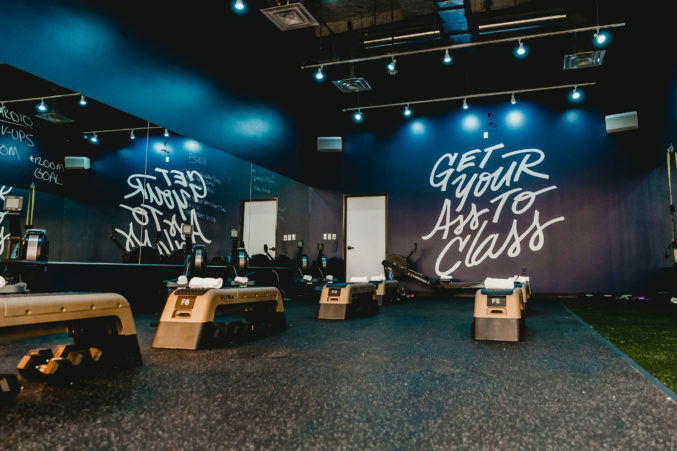 Class Studios isn’t the first boutique gym to combine two totally different classes under one roof, but it does feel like it’s doing it more thoughtfully and cohesively than most. It could be the layout of the studio, which is small and intimate, but still blessedly offers plenty of room around the lockers. The cool, clean-lined interior design may also help tie things together. Even the instructors seem to already share a sense of camaraderie. It’s hard to put your finger on exactly what makes Class Studios click, but the credit probably goes to Kwon Zutter, who has consulted for about twenty-five studios around the country. She clearly knows how to make a boutique gym work. Her studio may be joining Dallas’ rapidly-growing boutique fitness scene in its most crowded corner (West Village, which in just three months has also welcomed Barry’s Bootcamp and District Climb), but it stills feels like a welcome, fresh addition. Be sure to make time for a shower when you go.